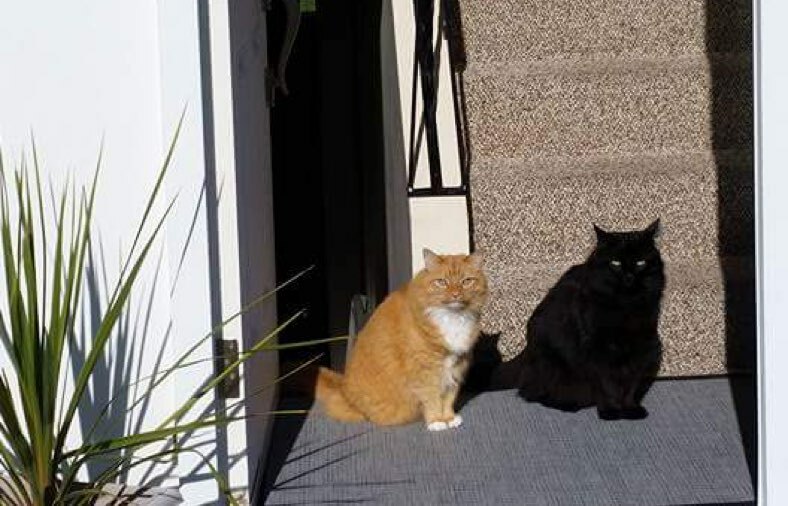 A cat photo has gone viral as people debate if it’s two cats, or a cat and his evil shadow or what. We all know that’s two cats but it’s really a great image! Glad they shared! 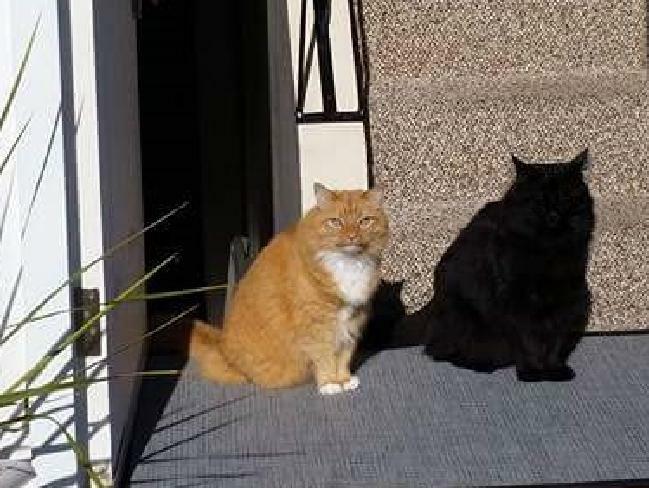 The orange kitty is named Pete and the black kitty is named Sully. Some took it a step further and Photoshopped the black cat’s eyes out of the shot.